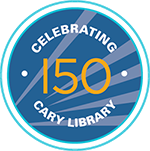 The Teen Room @Cary is open to middle school and high school students in grades 6-12. So, even if you are technically not yet a ‘teen’, there is still plenty going on for you in the Teen Room @Cary! While our entire teen collection is available to all of our patrons, books in our designated BeTween collection have been selected specifically because they may appeal to middle school students. The BeTween collection can be found on shelves located in the middle of the Teen Room. Many of the programs scheduled in the Teen Room are open middle school patrons. The drop-in Teen Brickbuilders, Teen Crafternoons, and Teen Afternoon Movies are appropriate for and open to middle schoolers. Check out the Event Calendar for more information about other programs for teens @Cary. In addition, we now have two book clubs specifically for 6th & 7th graders. BookIt (with brownies) meets monthly on Saturday afternoon to have some laughs, eat some snacks, and discuss books. Registration is currently closed for the spring session. And we have added a second session for 6th and 7th graders - BookIt (AT NIGHT! ), which meets on Monday evenings - also for laughs, snacks and to talk about books. Registration for BookIt (AT NIGHT!) is currently open.Please contact the Teen Services Manager at lexteen@minlib.net if you have questions about new options for teen book clubs @ Cary. Currently Saturday's BookIt (with brownies) is reading Divergent by Veronica Roth. Divergent is set in a dystopian future Chicago. When citizens of this society turn 16 years old, they take an aptitude test and decide the faction to which they will belong for the rest of their lives. Beatrice (Tris) was born into the Abnegation faction (defined by their selflessness), but she must decide if she will remain with this sect, or forsake her family forever and join a new one. She is drawn to the Dauntless sect know for their bravery) faction, but worries about a life without her family. Currently, Monday's BookIt (AT NIGHT!) is reading the Selection by Kiera Cass (see below for a description). Star-Crossed by Barbara Dee. Star-Crossed follows the story of 12 year-old Mattie, as she navigates her role as Romeo in this year's school play Shakespeare's Romeo and Juliet, with her growing feelings for Gemma, the cute, funny and BRITISH girl who is playing Juliet. Fever Crumb by Philip Reeve. Fever Crumb lives in a dystopian London far in the future. She is a foundling, adopted by a member of the Order of the Engineers at a time when women are considered incapable of reasonable thought. At the age of 14, she leaves her protected world to live with and assist an archaeologist in a secret project. She begins to have memories that cannot be her own, and she finds herself at the center of hostile discrimination, as this steampunk London lurches. Orbiting Jupiter by Gary D. Schmidt. This book tells the complicated and heartbreaking story Joseph, who is a father at the age of 13 but who has never met his daughter, Jupiter. Told from the perspective of his foster family’s 12 year-old son, Jack, this novel examines the power of friendship and family and the sacrifices they require. Cinder by Marissa Meyer. A cross between fairy tale and dystopian fiction, Cinder tells the story of cyborg/mechanic with a mysterious past, whose life becomes entwined with a prince and an intergalactic struggle for power. Insignificant Events in the Life of a Cactus by Dusti Bowling. This book follows the story of thirteen-year-old Aven Green, who was born without arms. Following her family’s moves from Kansas to Arizona, Aven navigates her life in a new home and explores her family’s history. The Selection by Kiera Cass Cass’s novel takes place in a future dystopian world marked with distinct castes, great disparities in wealth, and much political unrest. The story revolves around seventeen-year-old America Singer and her role in the unique lottery the ruling family has devised for ‘the selection’ of a wife for the prince. Fans of The Hunger Games may also enjoy The Selection!